In here you will find a list of free! Act! addons that you can use with your Act! database, the listing below shows a description of each addon in addition to which version(s) of Act! each addon is compatible with. Addons listed on this page are free. However, they require you to sign-in to your Xact Account which can be done from within the product, new registration is free. Feel free to browse this section and download any addon(s) that you like. * .NET Framework 3.5 will be automatically downloaded by the Setup application if required. Windows administrative priviledges may be required for this step. If Act! was not installed in the default folder, or if Act! for Web is installed, you will need to specify the correct folder. A greeting dialog should appear if installation was successful and is running for the first time*. * if greeting dialog keep appearing when Act starts, make sure to use the plugin at least once, usually by opening the newly added menu item. 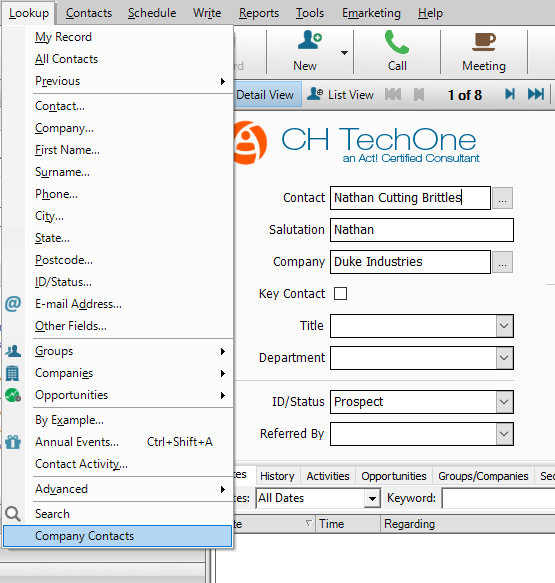 Use Xact Lookup Company Contacts to perform one-click lookup on contacts with the same company name. New! Option to create contact history record when an opportunity is modified (Tools - Opportunity History). Note: If you have previous version installed ("Opportunity Updater & Duplicator"), please uninstall it first. Use Xact Email Changer to find and replace multiple contacts email domain (e.g. company name). Use Xact GMail Button to send an email through the default GMail window, directly from Act contact details. 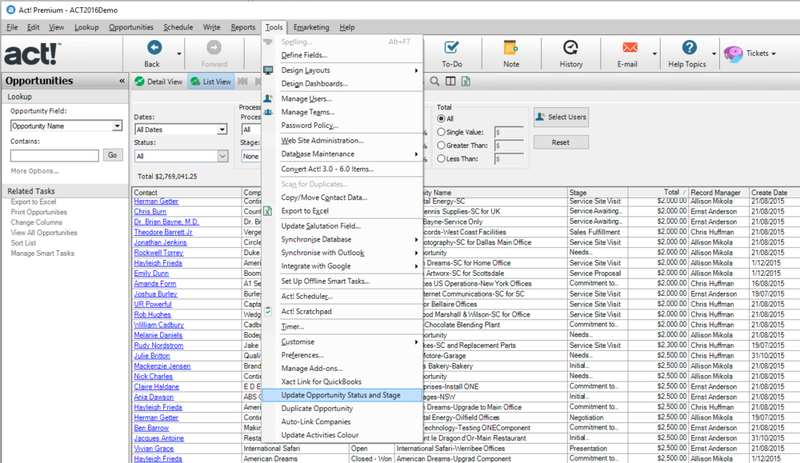 Use Xact Company Linker to automatically links company and contacts with the same name.